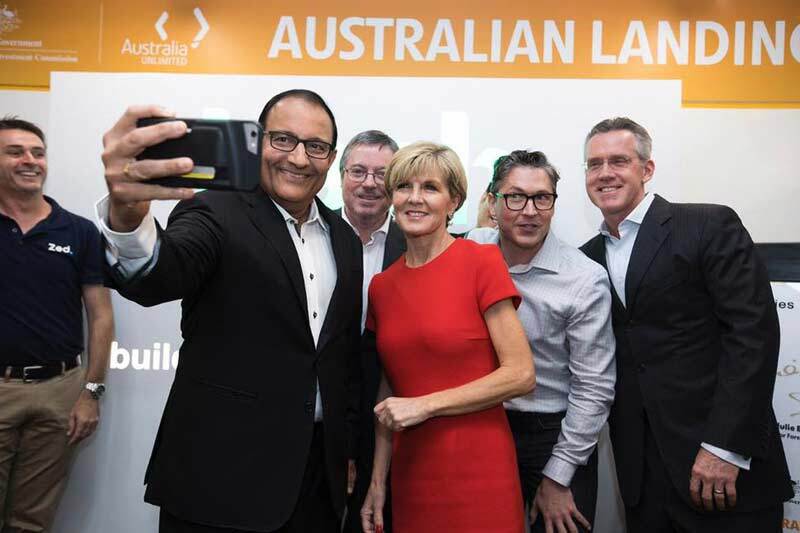 The Australian Landing Pad was officially launched in Singapore on March 8 to bring together startups, research institutions, multinational corporations and leading technology players to promote innovation, research and development.The Landing Pad is one of joint initiatives under the Comprehensive Strategic Partnership (CSP) between Australia and Singapore.The Australian Trade Commission and SGInnovate were involved in setting it up. Australia’s Landing Pad program is part of the Australian government’s National Innovation and Science Agenda. The initiative assists Australian startups in cutting edge industries, including services, helping entrepreneurs bring their ideas to market and building new export market opportunities. Australia has established similar Landing Pads in four other major innovation hubs around the world. The network includes facilities in Berlin, San Francisco, Shanghai and Tel Aviv. Through the Landing Pad, Australian entrepreneurs will have access to a network of contacts in Singapore and ASEAN, along with in-market business development, investment, and mentorship opportunities. It could be a gateway to more than 600 million consumers across Southeast Asia for the Australian firms. Speaking at the opening at BASH (Build Amazing Start-ups Here), Singapore’s Minister for Trade and Industry, Mr. S. Iswaran hailed the deepening of bilateral ties between Australia and Singapore and highlighted science, technology and innovation as a focal point of collaboration under CSP. Around 3,500 multinational companies have their regional headquarters in Singapore, while the number of startups in Singapore more than doubled from 22,000 in 2003 to 48,000 in 2015. With the the number of high-tech startups increasing from 2,800 to about 4,800 over the same time period. In 2016, the Singapore government allocated S$19 billion over the next five years towards Research, Innovation and Enterprise development, especially in domains such as advanced manufacturing, human and biomedical sciences, information and communications technology (ICT) and urban solutions. The 2017 budget included S$500 million for the National Research Fund to support innovation efforts. ‘Deepening and diversifying international connections’ is one of the key strategies identified by the Committee on the Future Economy (CFE). the CFE recommended the establishment of a Global Innovation Alliance, through which Singapore companies and Institutes of Higher Learning can connect and build networks with overseas partners in major innovation hubs and key demand markets. Local startups can use the Global Innovation Alliance platform can stay connected to innovation ecosystems abroad, keep abreast of the latest technological developments and identify cross border opportunities for collaboration. Read the media release from the Minister for Foreign Affairs, the Hon Julie Bishop MP, here. Read the speech by Mr. S. Iswaran, Singapore’s Minister for Trade and Industry here.